View cart “S.P. Metal I” has been added to your cart. “This record has nothing to do with the current heavy metal outburst. S.P. Metal is not based on opportunism, it is the result of long, hard work”, say the original liner notes to the S.P. Metal compilation. By the time the album was released in 1984, the underground metal explosion was well underway in Brazil too. 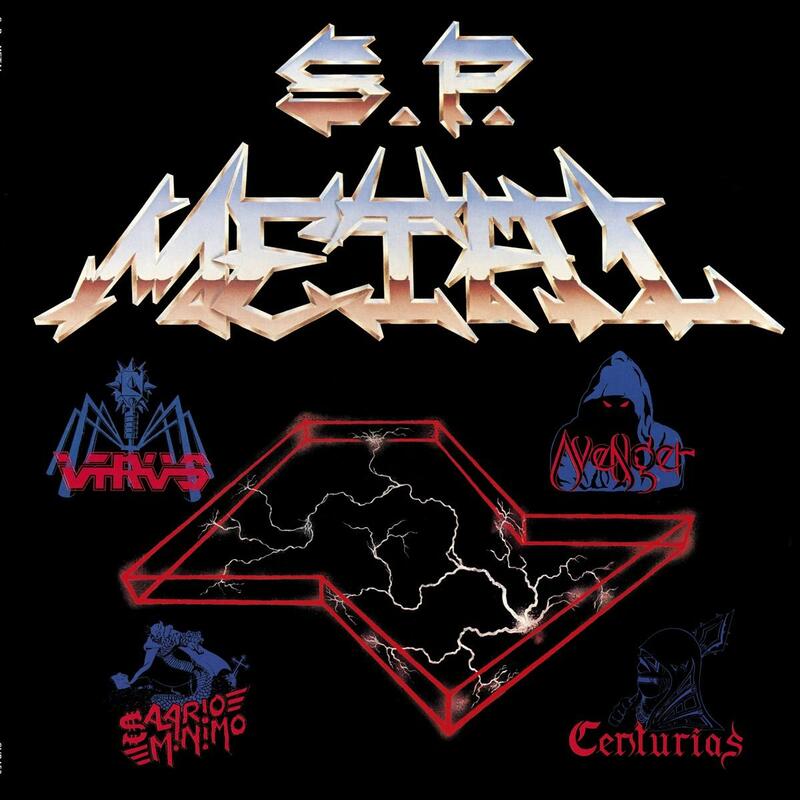 However, work on this album was began in 1982 already, when the owner of the Baratos Afins record shop and label in Sao Paulo came up with the idea of documenting the nascent heavy metal scene taking shape in the city. In addition to Belo Horizonte, home to Sepultura and Sarcofago, Sao Paolo was the nerve center of the now world famous Brazilian metal scene. As the liner notes put it, “What could better than metal music to represent Sao Paulo? Like in the industrial cities of Europe, no other genre could represent better the agitation, the noise, the anger against the oppressive industrialisation.” S.P. Metal is akin in subcultural importance to European and American metal compilations such as Metal Massacre, and one could say it spearheaded the entire Latin American metal phenomenon. Put together on a shoestring budget, the album is a perfect document of the birth of a movement, with bands ranging from NWOBHM influenced more traditional metal to porto-thrash headbanging. This is the first time since the original 1984 issue the album is available on vinyl. The Svart reissue has layout faithful to the original Brazilian edition, but all liner notes and lyrics are presented in English in addition to the original Portuguese.